The annual Spring Tea is definitely one of my favorite social events hosted by HRG&SP. As the semester draws to an end, members of the G&S community, old and new, gathered one last time to celebrate another incredible year. I myself had an amazing time enjoying the company of fellow cast members, staff, and musicians whom I’ve had the pleasure of working with these past two years. And what better way to welcome the spring weather than by being surrounded by the most delicious baked goods, all tirelessly prepared by G&S Board members the day before. My personal favorite was the banana and chocolate scones smothered in jam. And of course, there were also cookies, sandwiches, and irresistible chocolate-covered strawberries – I stuffed those into my mouth as if I was preparing to hibernate for the next few months! A hallowed tradition of Spring Tea is the Ladies’ Hat Competition and the Gentlemen’s Bonnet Bout, where men and women displayed their diverse head gear in hopes of being named the prestigious “Queen of the Tea”. The competition was fierce, with participants bringing what could only be described as their “schwenckiest” creations. But in the end, the judges rightfully crowned Rebecca Rosen, Cassie Lowell, Jack Weyen, and Aaron Grand. 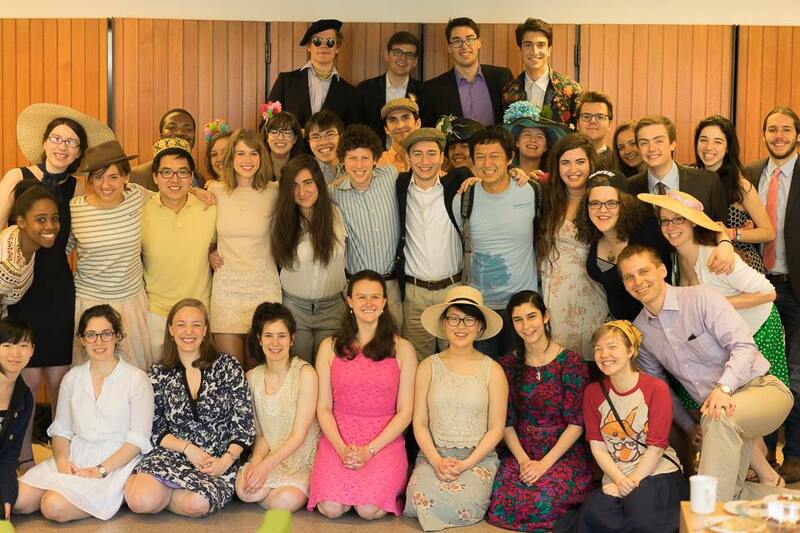 Though the Spring Tea marks the last official G&S social event of the semester, the G&S spirit is still quite alive. Already, we are gathering a set of staff for our next fall show, Ruddigore; Or, The Witch’s Curse – shameless plug: if you would like to contribute to Ruddigore in any capacity, let us know! But even if you can’t, we’d love to see you at future G&S events. And on that note, on behalf of the G&S Board of Directors, I wish you a rapturous spring season!